BAD CREDIT NO PROBLEM. PRIOR REPO'S OK. LOW INTEREST RATES FOR GOOD CREDIT. WE'LL GET YOU APPROVED!! All of our vehicles are PROFESSIONALLY DETAILED and inspected by our mechanics onsite. We offer over 100 vehicles in inventory and adhere to a policy of no pressure sales. This vehicle is equipped with: AWD, Automatic transmission, power interior options (windows, doorlocks, mirrors, seats, sunroof), LEATHER HEATED/MEMORY SEATS, ABS BRAKES, dual airbags, traction control, fog lights, cruise, tilt, A/C, AM/FM stereo with CD, alarm with key fob remote, jack, spare. Warranties, Financing and State Inspection Guarantees Available! **SE HABLA ESPANOL** MULTIPLE FINANCING OPTIONS** for all credit situations. OUR CUSTOMERS ARE OUR NUMBER ONE ASSET!! Broad Street Auto Sales, LLC has been in business for over 45 years at the same location. 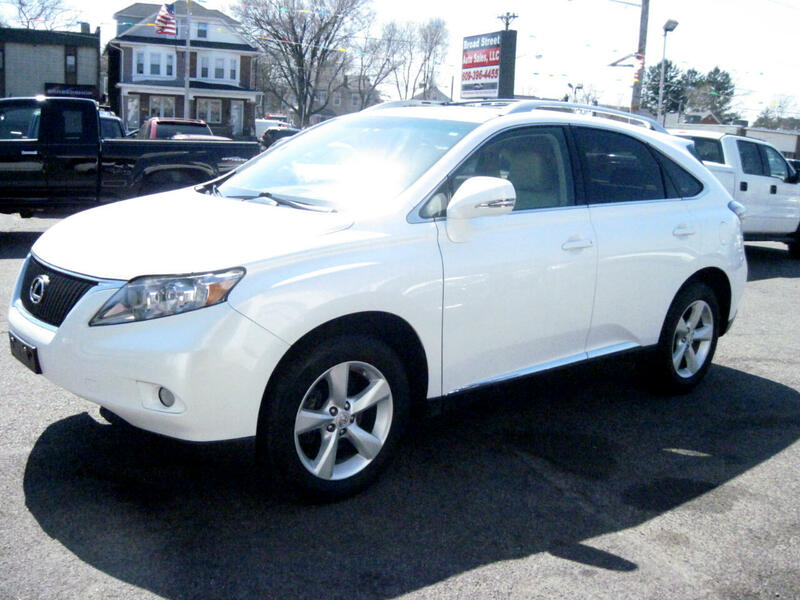 Message: Thought you might be interested in this 2010 Lexus RX 350.